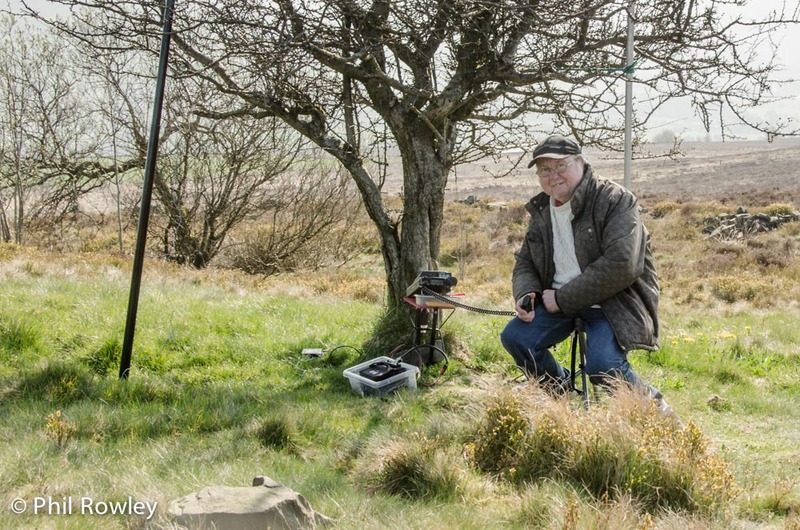 I was out walking over the Staffordshire Moorlands, and as I arrived at a trig point (the highest part of that area of land), I found Mick, a very nice man with a passion for amateur radio. He was telling me he could communicate with people in Australia and New Zealand from up there. Currently he was tuned into Japan. What a nice life.. out in the hills on a sunny day communicating with people in far flung places (without using a computer!). You’ve found the other end of the rainbow. I reckon that’s a regular contact of mine, I also talk on radios from hills, and I’m one the Australians Mick talks to! Great picture thanks for sharing. We know Mick as callsign ‘2E0YYY’, a very popular contact with amateur radio operators in Australia chasing UK SOTA peaks. Mick explained to me about SOTA. It sounds great fun.